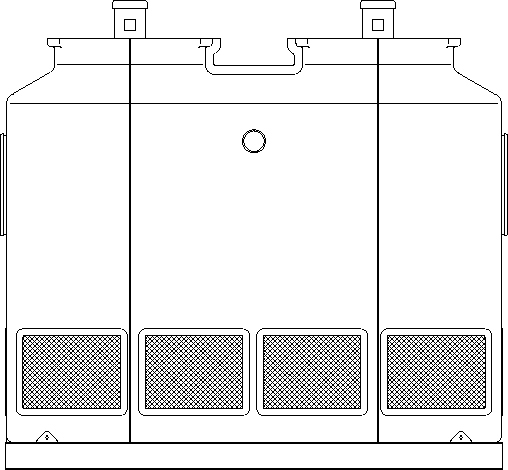 Water cooling systems using Advantage cooling tower models from 170 to 530 tons feature multiple Power Tower™ fiberglass cooling tower cells on a single structural steel base. These cooling towers feature staged fans for superior temperature control and back up. Multiple fans are also beneficial in the unlikely event of fan motor failure. Should a fan motor fail, the remaining fan(s) will operate while replacement or repairs are made. An integral air baffle prevents air from short cycling through fans that are turned off. In a typical installation, the operator selects a tower water temperature set point. As the actual tower water temperature falls below the set value, fans are turned off to maintain a consistent water temperature. Click on the Models below to see more information. For more information about cooling tower systems call the Advantage Sales Department at 317-887-0729. Would you like to Download FYI #268 to your browser?